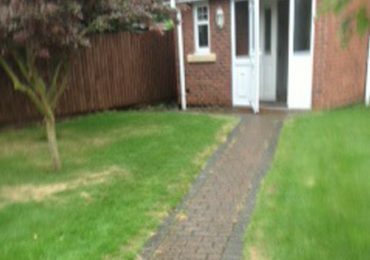 Welcome to Aqua Blast, a mobile pressure washing and steam cleaning company that specialises in patio and driveway cleaning in Derby and the surrounding areas of the Derby. 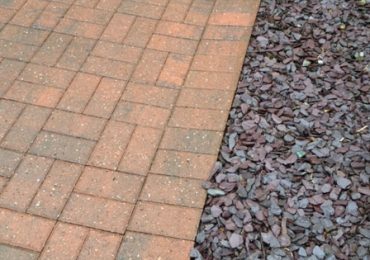 If you choose to install a new driveway, patio or block paving, it is important to clean and maintain it on a regular basis. Aqua Blast has the equipment to undertake commercial roof cleaning contracts of significant sizes. Decking can look great when first installed, it do’s need a lot of maintenance to keep it looking good. The Gutter Vac Omnipole is also equipped with a camera to assess the amount and type of debris to be cleared. Graffiti removal services are popular with both commercial and domestic customers, as well as councils and local authorities. 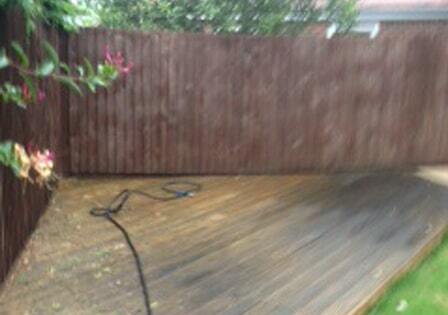 Why Choose Aqua Blast Pressure Washing? I Would Like My Driveway Cleaned, What Happens Next? 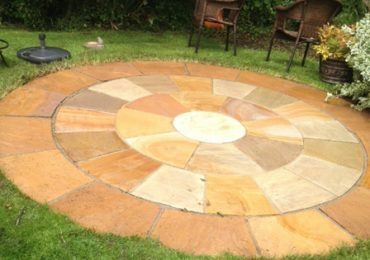 Simply call us with the time and date that suits you and our mobile pressure washing and steam cleaning team will arrive punctually, with everything needed to carry out a thorough clean of your driveway, patio or garden decking. Our pressure washing technicians are able to restore all decking, tarmac and block paved driveways to their former glory, stripping away dirt and debris that has built up over time. A specialist sealant is then applied to help prevent colour fading and UV damage. The sealant also helps solidify the sand between joints, whist offering a heightened resistance to oil stains and the return of algae and garden weeds. 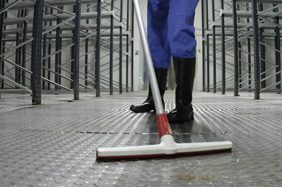 In addition to commercial and residential cleaning, we also carry out steam cleaning services for industrial customers in the East Midlands. From steam cleaning an engineering environment, to pressure washing in mechanical process plants, all cleaning is completed in full compliance with OH&S and HACCP standards. 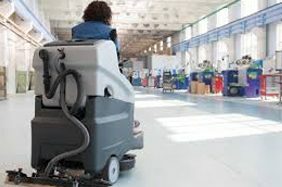 Our industrial steam cleaning services "degrease” and sanitise all surfaces using minimal amounts of water and cleaning chemicals, ideal for a broad range of industrial applications. 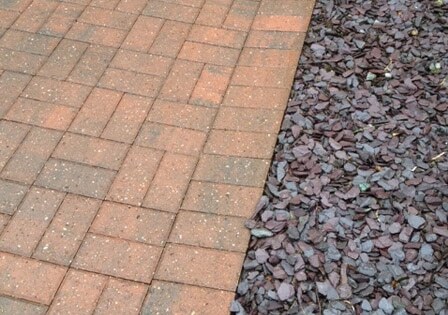 Block paving cleaned and sanded. 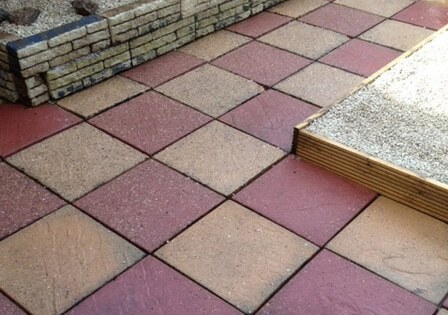 Patio clean and gaps filled with sand, cement and small pebbles. “I have told Rodger I would be more than happy to use his services again. Rodger recommend in approx two years time. Both himself and one other I found to be polite, efficient and true to word on the job task. A beautiful finish I would be happy to recommend.” @ Verified By Email– Customer in Nottingham ( 1 ) 30 August 2016. 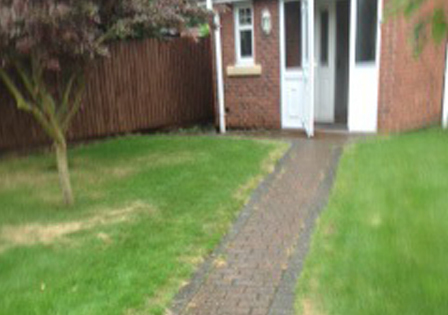 Drive cleaned and a wall and side path. “Arrived on time, very polite and actually did more work than asked for at no additional fee, the work done was great and the drive looks perfect, many thanks Roger.” @ Verified By Email– Customer in Belper ( 1 ) 14 October 2016. 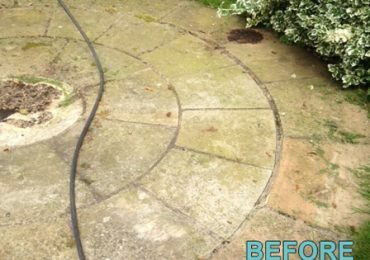 Our mobile jet washing and steam cleaning covers a wide range of services, including deep cleaning, moss and weed removal, in addition to the resealing of patios and driveways.